After a long time, we are publishing a riddle in English language. This English Riddle is hidden meaning Rebus. In this Rebus there is some pictorial representation in puzzle picture. Your challenge is to decode the hidden meaning of this Rebus. Lets see if you can solve this English language riddle? 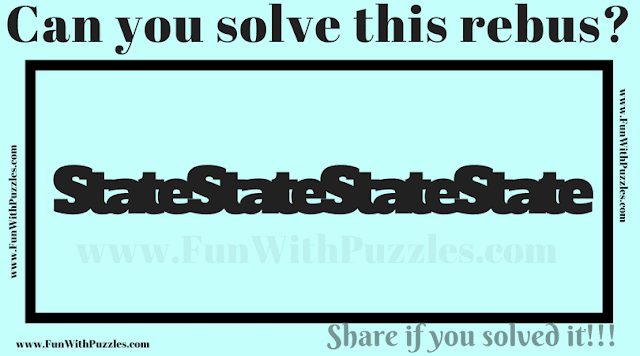 Answer of this "Riddle in English Language", can be viewed by clicking on button. Please do give your best try before looking at the answer. The Answer is United States.